Ex-NBA player J.J. Hickson was arrested and charged with armed robbery in Georgia on Friday, according to inmate records from the Coweta County Sheriff’s Department. Hickson was charged with using a knife in the robbery, and is being held without bond in Coweta County Jail. According to a Sheriff’s spokesperson, two people were “involved” in the attempted robbery, though only Hickson faces charges. They say he stole $100,000 and other items from a home in Senoia after breaking a 17-year-old’s nose upon his entry to the house through a side door. The teenager is reportedly “expected to be okay” after receiving medical treatment. 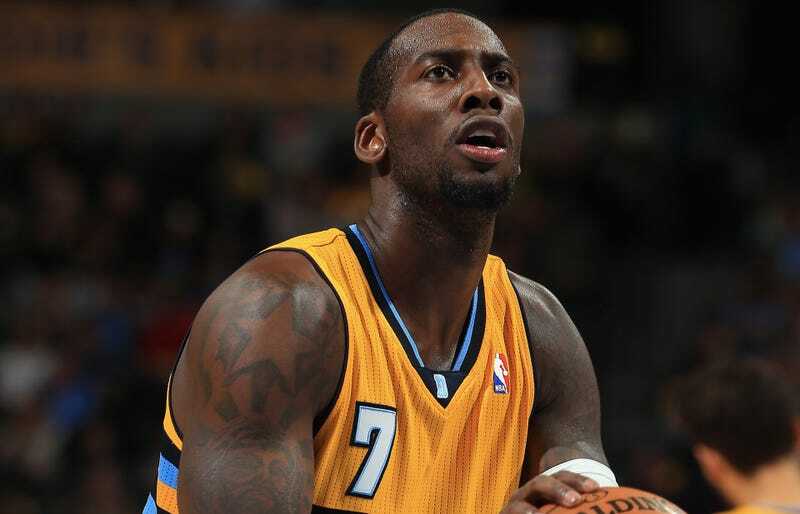 Hickson, 29, was drafted in the first round by the Cavaliers in 2008. He played for the Kings, Blazers, Nuggets, and Wizards over his eight NBA seasons, and two months ago, he signed with Lebanese club Champville SC.